From strutting down runways to dazzling magazine covers, Behati Prinsloo is red hot in the world of fashion. What’s next on the supermodels to-do list? Starring in Free People’s June e-catalog. Free People’s June e-catalog titled Washed Ashore, features Behati styled in statement knits and flowing maxis. It is a mix of warm weather looks that are perfect for the summer months ahead. Behati uses her own personal style and edge to rock Free People’s classic bohemian look and we at FASHIONOTES cannot get enough. 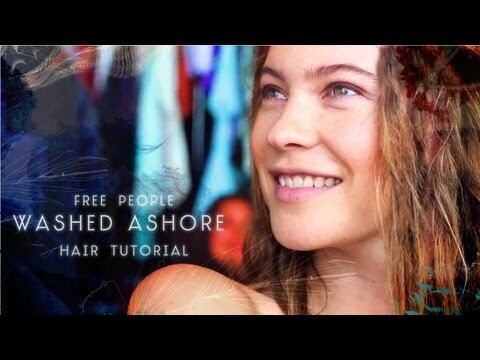 This issue of Free People’s e-catalogue will also allow customers to enjoy an interactive shopping experience, where they can view behind-the-scenes footage of Behati’s shoot and exclusive hair tutorials with Behati. This enables customers to truly encompass Free People’s, Behati’s bohemian style. Behati’s e-catalogue will be launched on June 3, 2013, on the brands website. Until then, enjoy the behind-the-scenes and hair tutorial videos.